It’s been incredibly busy this week in the world of social media marketing. Aside from the scandal facing the NSA and their PRISM program, both Facebook and Twitter rolled out new features to their social sites on Thursday, June 13. These features have the potential to fundamentally change the way marketers, business owners, and the general public use these sites, which makes them very exciting changes! Anyone who has ever used Twitter, Google+, Instagram, or Pinterest knows about hashtags. These searchable terms set off by (what was formerly known as) the pound key (#) allow users to stay connected to conversations surrounding a single topic. Hashtags are great for having chats with users who would otherwise not be connected—all anyone wanting to join the chat would have to do is throw in the designated hashtag to have their message included. They’re also great for finding content or comments about any given topic. 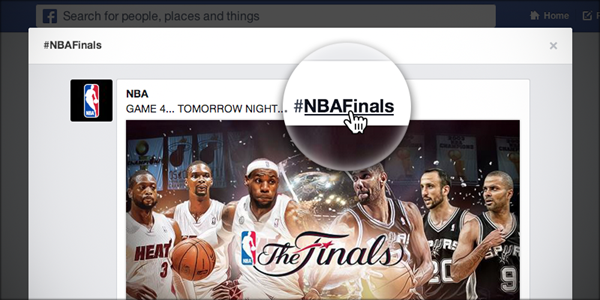 Users can now click on and search for hashtag conversations and trends on Facebook. So now Facebook is jumping on the social media bandwagon and implementing them into public conversations, according to their blog announcement. Users will be able to click on any Facebook hashtags they see in addition to being able to search for a particular hashtag, a process very similar to other social media sites. How This Changes EverythingUntil yesterday, Facebook was a lone ranger when it came to how users are able to connect to each other. From the beginning, Facebook has relied on real connections—you can only see content and updates from the people and pages you chose to connect to by liking or friending them. Now, however, users will be able to find other people based on what hashtag they include in their status updates. You’ll be able to talk to people you’re not directly connected to, changing Facebook into a social media site that no longer solely relies on the connections you make with the people and companies you choose to follow. Of course, you’ll still be able to control who sees your posts—with or without hashtags—and you still directly control the content that shows up in your personal news feed. But the added element of searchable conversations means a complete expansion of how people connect, converse, and share content on Facebook. It also means marketers need to step up their game. The added element of Facebook hashtags here means another layer of researching, creating, and tracking your marketing efforts. No longer can you simply “post and pray” that your content will reach the people you want to reach. But this also means that brand pages in particular might not have to rely as much on paid advertising anymore—if their content picks up within a Facebook hashtag trend, that content could go viral in a whole new way and to a whole new audience. At this point, it remains to be seen what kind of analytics, if any, will be available to track how effective certain hashtags are over others when posted in status updates. I’m sure that, as the update ages, Facebook and other third-party developers will be coming out with tools and advice for the eager social media managers out there (myself being one of them). If the Facebook update wasn’t enough excitement for you, Twitter also announced a new update to their site—analytics for all! Like their ads function, Twitter analytics have been available previously, but only to certain business customers looking for robust ad analytics. As of June 13, however, this feature is now available to anyone and everyone who has a Twitter account. All you have to do is log in with your or your desired Twitter account at the Twitter ads dashboard and roll over to the new Analytics tab to see your chart. In your new chart, you’ll notice several columns, one of which lists the Tweets you’ve sent out with data about how many people have clicked the link (if any) contained in your message. The other columns track your social impact, including how many people retweeted, favorited, or replied to that particular Tweet. This is great for anyone, not just marketers, who want to calculate the inherent value of their efforts on Twitter. How This Changes EverythingPreviously, marketers were forced to rely on third-party programs to check the viability of their Twitter marketing campaigns. Among other reasons, this is why programs like Hootsuite, TweetDeck, and Twitalyzer have become popular tools for marketers. Now, however, marketers have the option to ditch their third-party program and use the analytics already built in to Twitter itself. But before you go running off to cancel your subscriptions and migrate your information, remember that this is a brand new feature—there are going to be bugs and drawbacks because the feature hasn’t had time to reach its full potential (it’s only been a day, for goodness’ sake). Additionally, from my explorations of the feature, I’ve noticed some discrepancies in how Twitter calculates its metrics versus how my program of choice calculates those same values. This is particularly important when it comes to click data. My click counters show activity on my Twitter links whereas the new Twitter analytics chart does not. This could be because the feature is new and only applies tracking to Tweets sent out after the feature was rolled out. No matter the reason, I generally find it a good rule of thumb to cross-check your data with other programs to get the full picture of your Twitter marketing impact. More Changes on the HorizonThis phrase is said all the time, so forgive me for saying it again—social media is an ever-changing industry. While these new updates are certainly exciting, they do not represent the end of the changes for Facebook, Twitter, or any other social media site. As users demand more out of their social experiences, social media site developers will continue to deliver. What’s still in store for us as social media managers and users is yet to be seen, but for now, enjoy these new features!